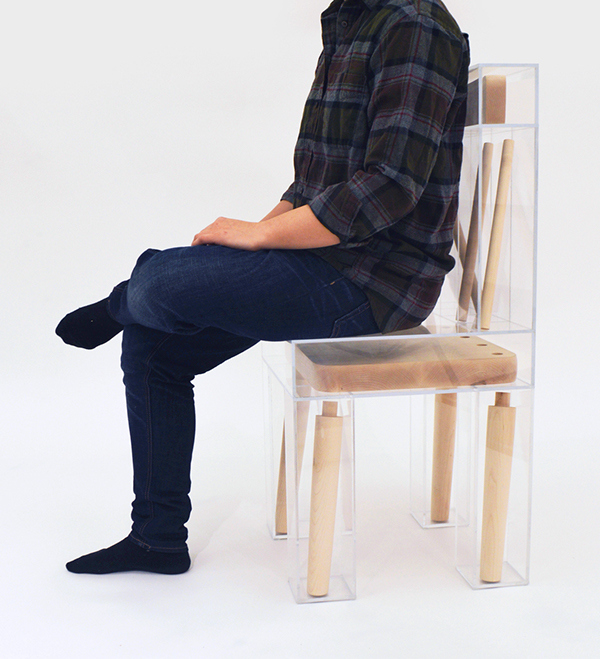 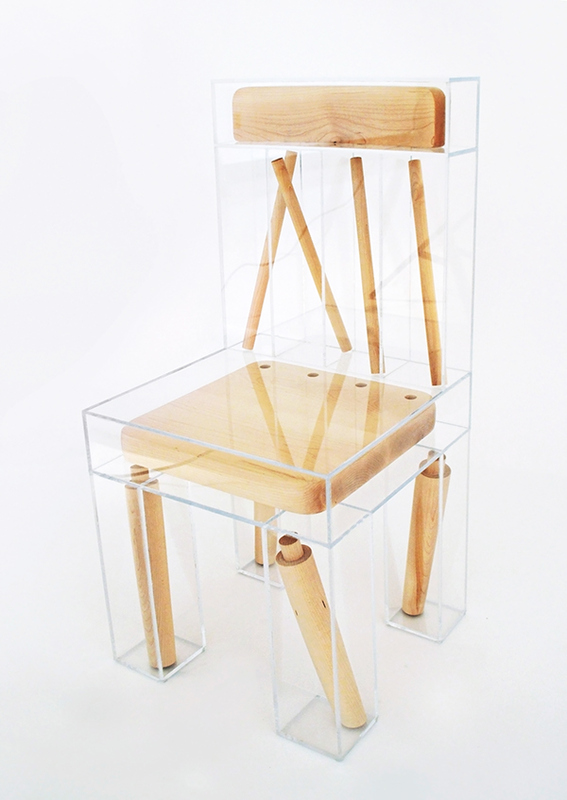 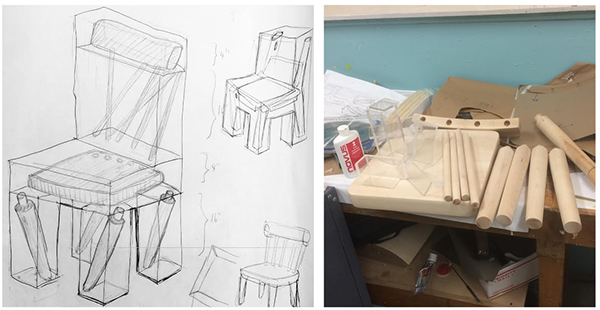 I made a chair to be dismembered and partitioned into clear plastic boxes. 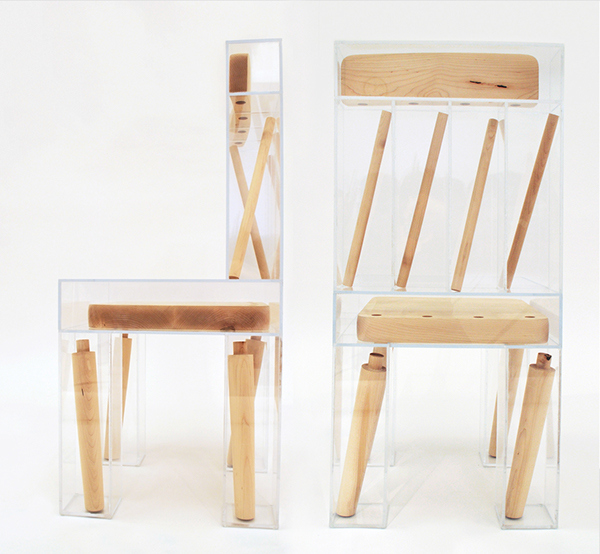 The superimposition of one chair form over another emphasizes both the joinery of its parts and the form as a whole, calling into question the idea/function of a chair versus its physical reality and ideas about material and permanence. 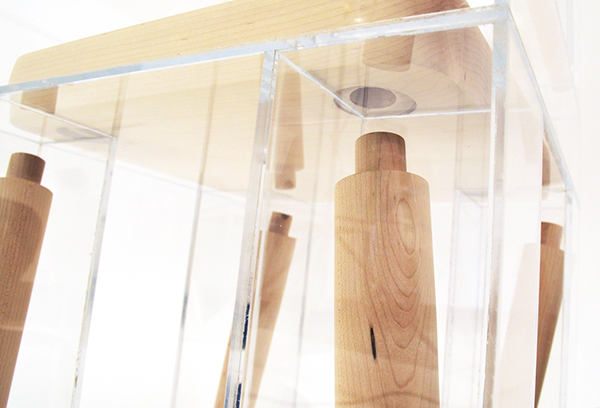 The title is a reference to exploded view diagrams.